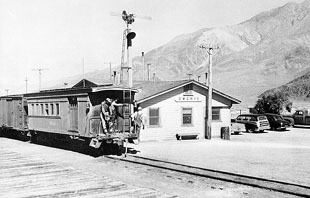 Owenyo, the hub of the narrow gauge after 1938. 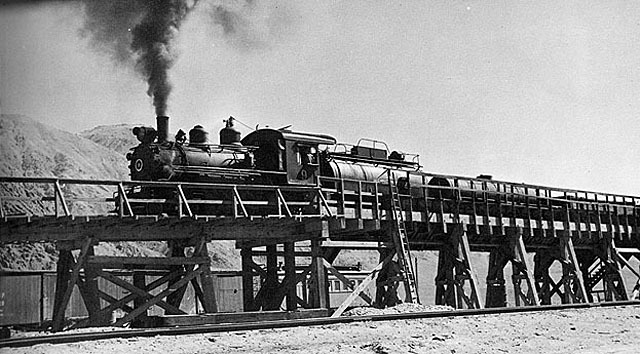 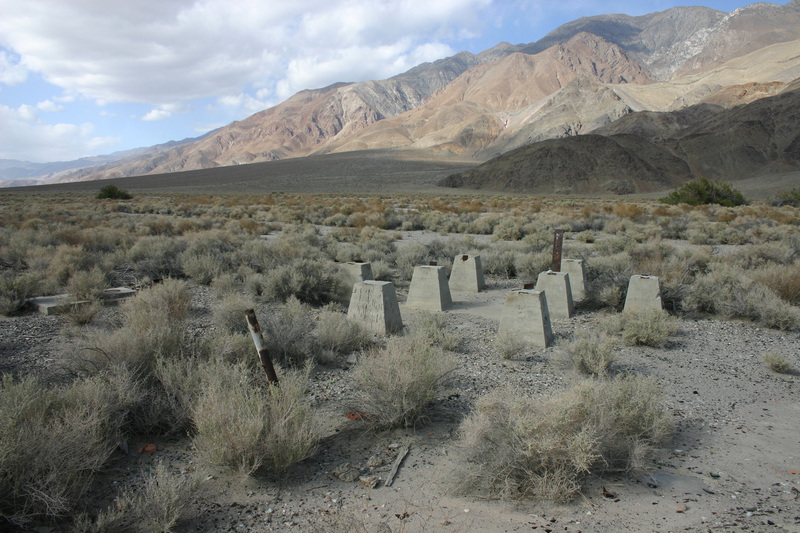 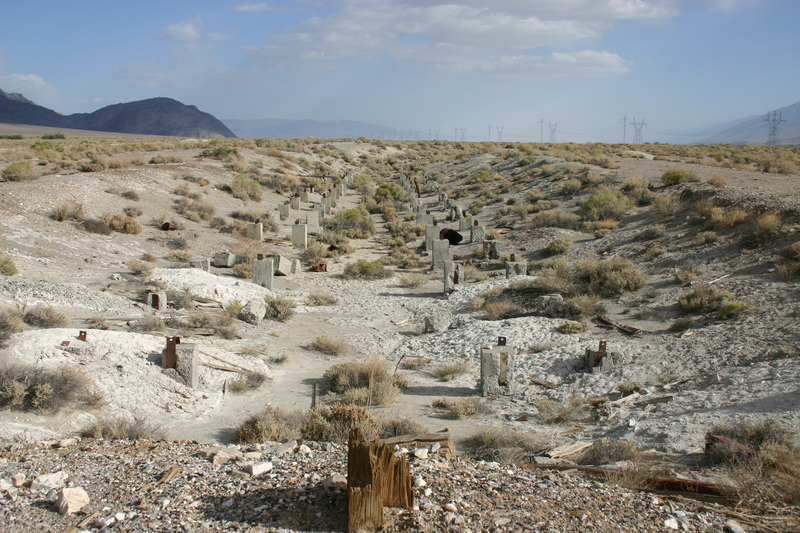 As a result of the standard gauge “Jawbone” branch construction in 1908, the town of Owenyo sprang up out of the sage brush. 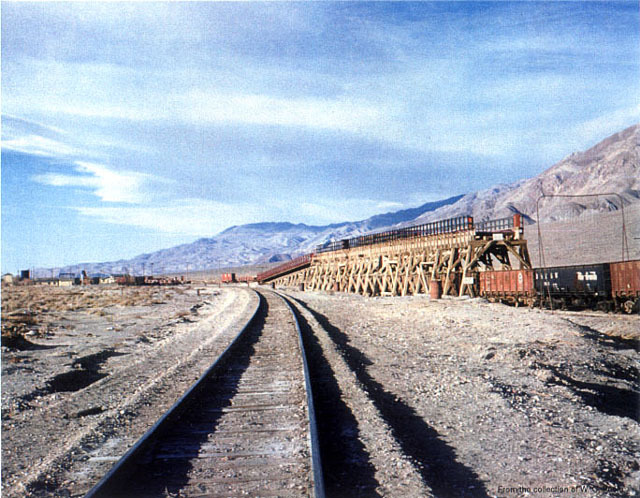 Owenyo had numerous interesting features, the transfer trestle, boxcar depot, hotel – rumor has it that it was a Howard Johnsons – and car repair facility. 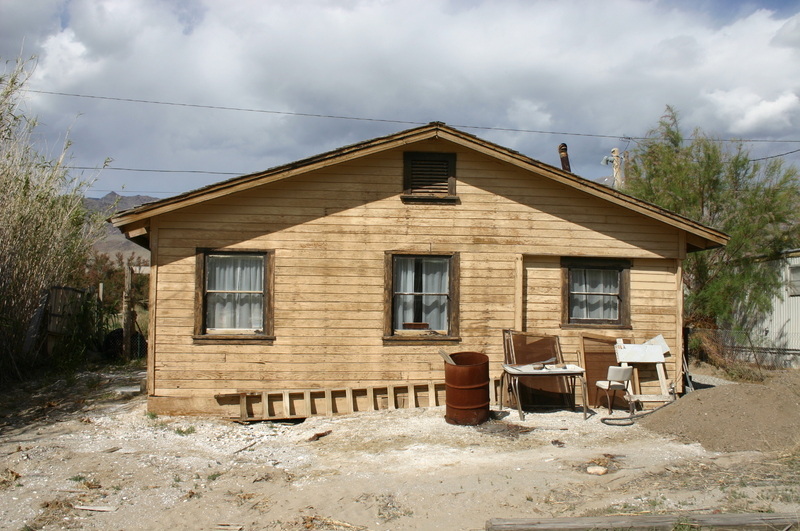 Today not much remains but foundations and memories. 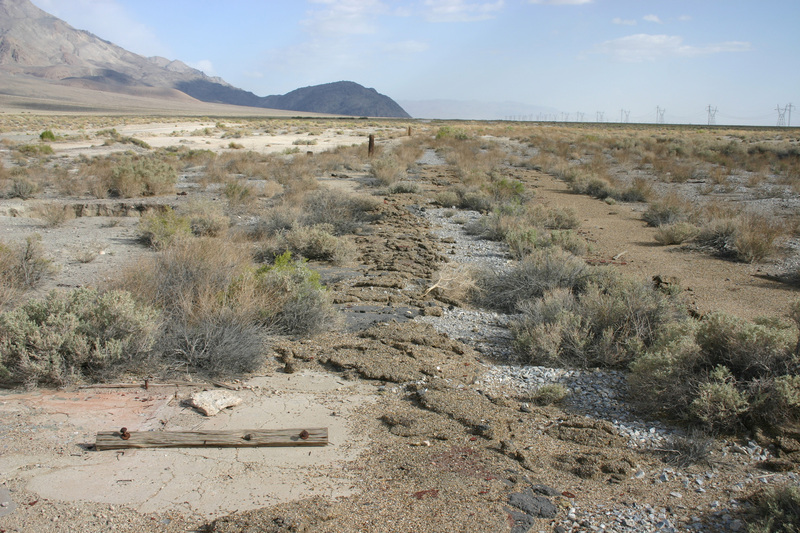 The car repair track 2007, one can still find boxcar red paint on the asphalt! 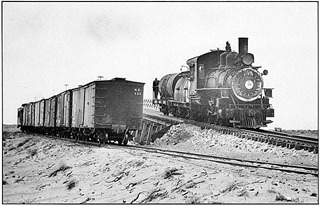 Owenyo depot. 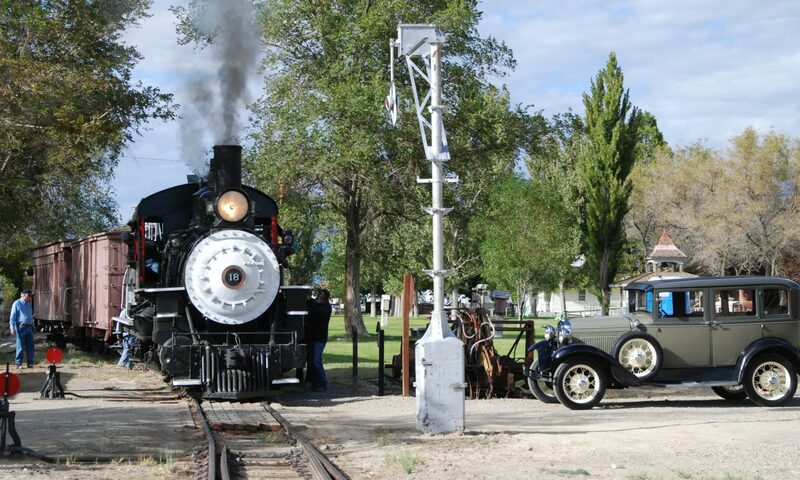 Today in Keeler serving as the volunteer fire department.